It’s the game that both men and women have played through the ages, and it’s by far, the most popular card game on the planet, but it’s also a sport that doesn’t spend much time in the public eye. Thankfully, that’s changing a bit now, and there are even poker players who have become household names. And most of this is down to a few major wins that caught the public’s interest. From rookie to WSOP winner. So, without further ado, here are the most memorable poker wins of all time. Trust us when we say, these games had a profound effect on the profile of the game. In fact, you may have even heard of one or two. The year is 1976, and Doyle “Texas Dolly” Brunson is at the World Series of Poker (WSOP) Main Event final table with Jesse Alto. 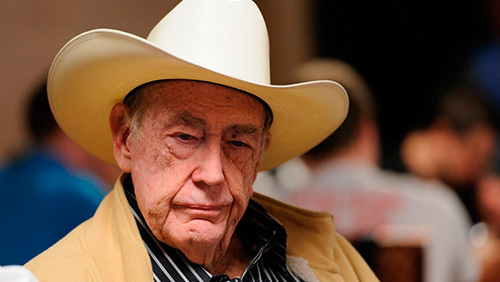 Poker was popular back then, and there was little media attention around the WSOP, but that was about to change with two pieces of poker history. The first saw Doyle with a 10 deuce of spades. Alto bet the size of the pot, and Brunson, feeling adventurous, went all-in. Jess was the favorite to win with a better hand and more chances of success, but Brunson somehow managed to get himself a full house. He went home with the pot of $220,000 as the WSOP champion. But that’s not where it ends. A year later, Brunson finds himself in a near-identical position, this time against Gary “Bones” Berland. Again, Doyle has a 10 deuce, and after calling Berland who went all-in, Brunson once again improved to a full house. This time, he took home $340,000, which at that time, was an incredible amount of money. The two wins on the bounce brought Doyle to the attention of the media, and poker’s most prestigious tournament started to gain a little more traction. Doyle continued playing right up until the WSOP 2018, but none of his wins can compare to our next entrant on the list. It was the win that heralded the online poker boom. Up until the 2003 WSOP, professional poker players considered online poker rooms a place for kids and amateurs. But this was where the eventual Main Event winner Chris Moneymaker learned his trade. He spent hours on end playing online poker tournaments and indeed qualified through an online satellite. Having qualified through that $38 satellite, Moneymaker (an accountant by trade) found himself at the final table of the Main Event. It was an incredible feat, and one that many felt was down to pure dumb luck. However, when up against seasoned pro Ihsan “Sam” Farha, no one gave Moneymaker a chance. He was sure to run out of ideas soon, but at one point, he bluffed and went all-in, which spooked Farha. Although Farha correctly guessed that it was a bluff, he didn’t take any chances, and Moneymaker won the hand to take complete control of the game. The aptly named Moneymaker won $2.5 million and became a household name in the process. By all accounts, this was the win that changed the entire landscape of online poker. Now, the pros had to take online poker players seriously. Although Farha correctly guessed that it was a bluff, he didn’t take any chances, and Moneymaker won the hand to take complete control of the game. The aptly named Moneymaker won $2.5 million and became a household name in the process. By all accounts, this was the win that changed the entire landscape of online poker. Now, the pros had to take online poker players seriously. Fast forward six years from Moneymaker’s memorable win and online poker enjoys unheralded success. High-stakes games are the norm, but none expected a pot ever to top $1 million. But that’s what happened on November 21, 2009. 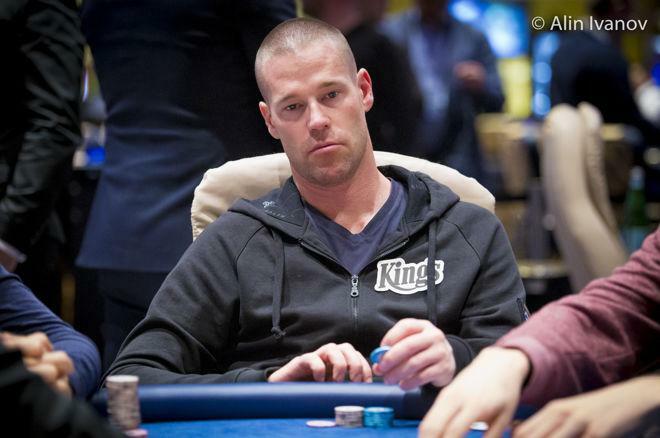 Patrik Antonius and Viktor “Isildur1” Blom played in a $500/$1,000 heads-up pot-limit Omaha game. It all started with a raise to $3,000 and quickly worked its way up to an $870,000 raise. Antonius claimed the pot of $1,356,946 and wrote his name in online poker history. While this wasn’t quite in the public eye or a win that garnered either player any measure of fame, it did make huge waves throughout the online poker community. If anything, this win signified to the world that online poker wasn’t only a practice arena for players before they moved to live poker games. It was an industry in itself, and there was massive money to make in the online poker rooms. The year is 2017, and the WSOP Main Event boasts pros with decades of experience and millions in winnings. The final table is also where you’ll find Scott Blumstein, a tournament rookie whose biggest win to date was $199,000. Blumstein was a 25-year-old accountancy graduate determined to become a full-fledged pro, but like Moneymaker 14 years previously, nobody gave him a chance. Since then, Blumstein has enjoyed middling success with no major wins coming his way. While there’s plenty of time yet for him to come good, his average success following the WSOP adds more weight to the theory that he punched above his weight. So, there’s hope for us all yet. There have been other wins such as Gus Hansen’s win over Dan Negreanu for a $575,000 pot or Tom Dawn’s win over Phil Ivey for $1.1 million, both of which were live on TV. But none has had quite as profound an effect on the game as those that we listed earlier. Hopefully, they won’t be the last in the game, and if we’re lucky, we’ll see more of these wins televised in the future.